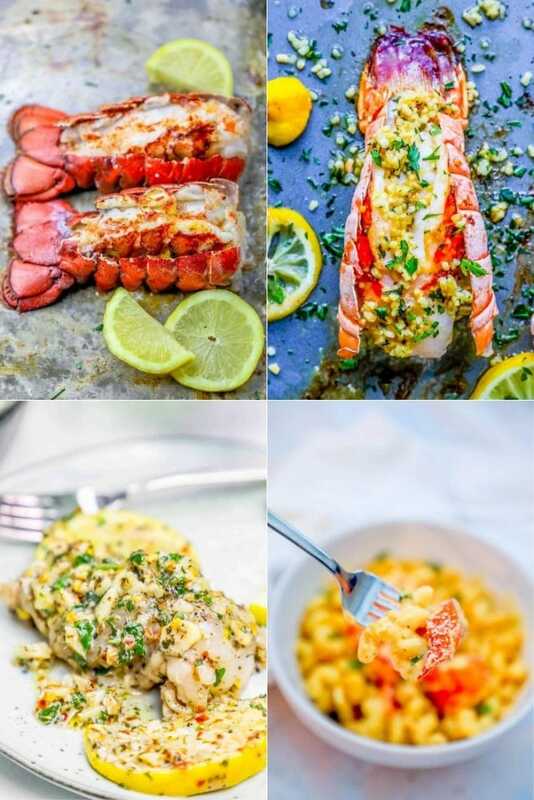 The most delicious lobster tail recipes – perfect for romantic nights in, weeknight meals, or ultimate comfort food – these easy lobster tail recipes will blow you away with crave-able flavor. 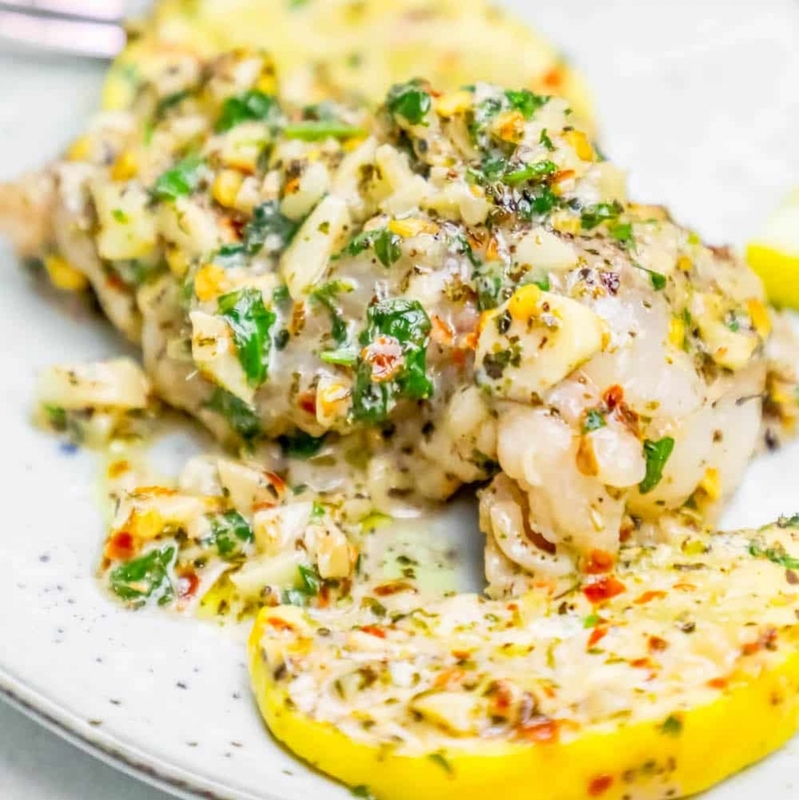 Be sure to head to the bottom of the post for an easy to click through list of the best lobster tail recipe links – as well as ideas of what to serve with lobster tails, and everything you need to cook the perfect lobster tail! 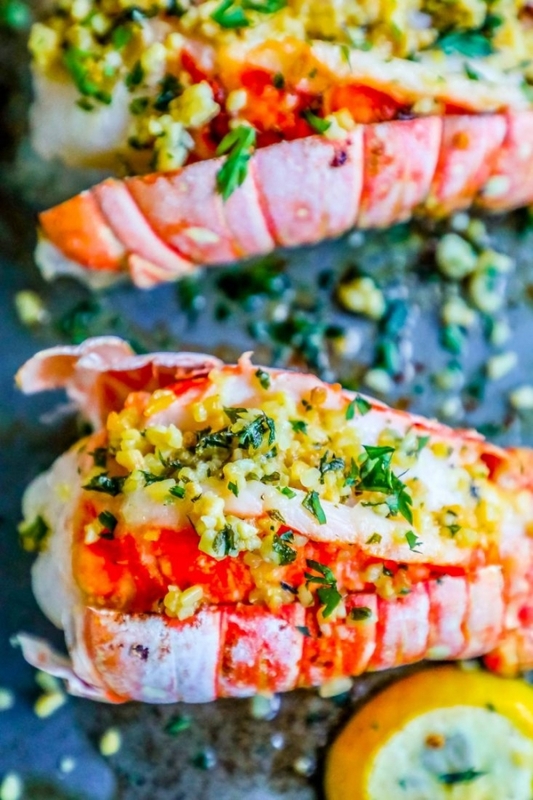 These are the best lobster tail recipes… I hope you love them as much as I do! With sharp kitchen scissors or a knife, carefully cut the top of the lobster tail shell down to the tip of the tail, avoiding the meat. Devein and remove any grit if needed. 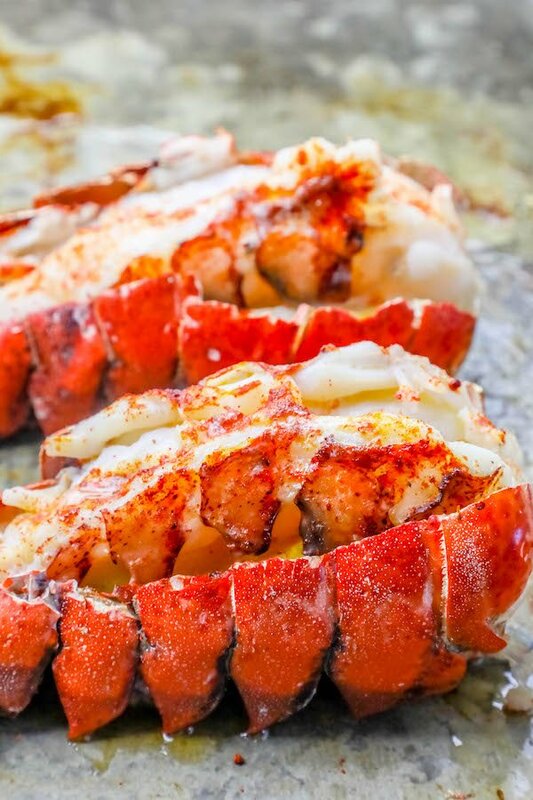 Lobster isn’t cheap – so when you make a fabulous dinner, especially for a special occasion, you want it to look nice! 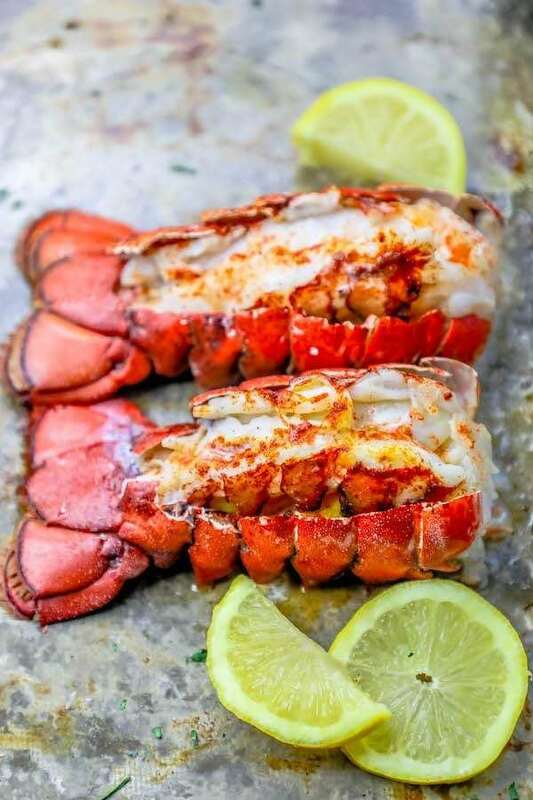 The following tips for how to make your lobster tails look the best will help you present lobster tail just like at your favorite fancy restaurant. I like to keep the lobster in the shell, but sometimes the way it lays is a bit flat. 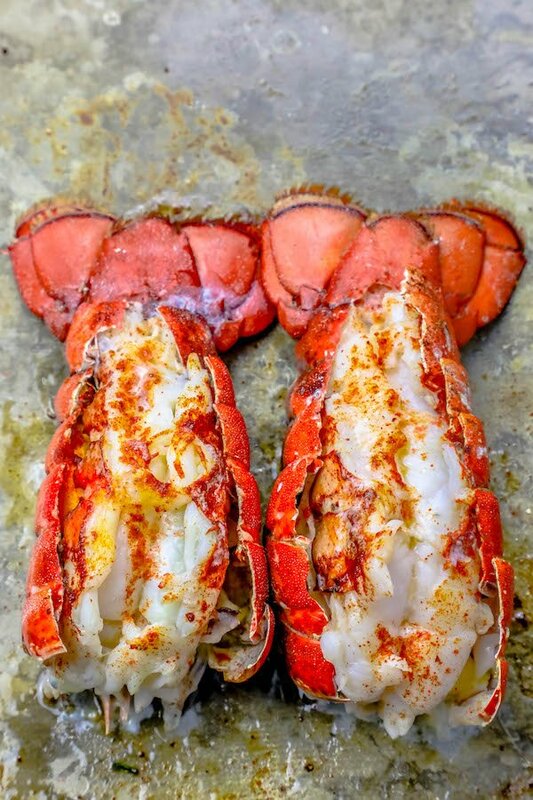 To make your lobster look a bit prettier, take a lemon wedge and slide it underneath the lobster tail (so it is in between the shell and the lobster meat) to cook – it will pop up the lobster meat and make the tail look bigger and more full! 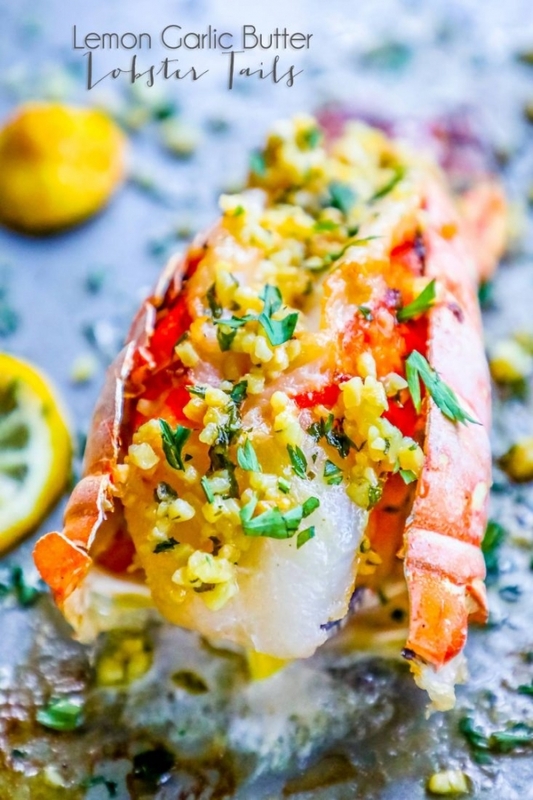 Cooking lobster is incredibly easy in an oven! 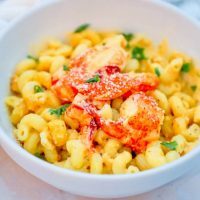 Bake or broil, if you have an oven, you can make lobster in it using these easy tips and tricks! 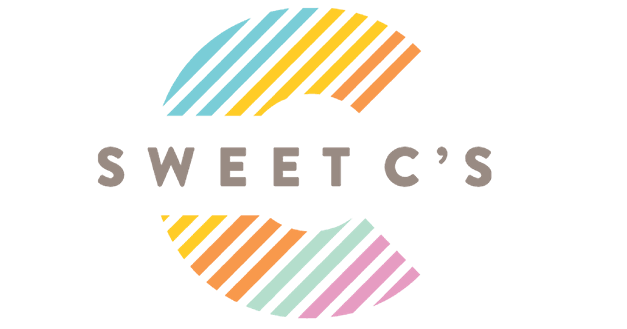 If you have a very large lobster tail it will take a bit longer – but smaller tails should be perfect at around 10 minutes – about 1 to 1/2 minutes per ounce. For broiled lobster, keep the lobster 5″ from the broiler. 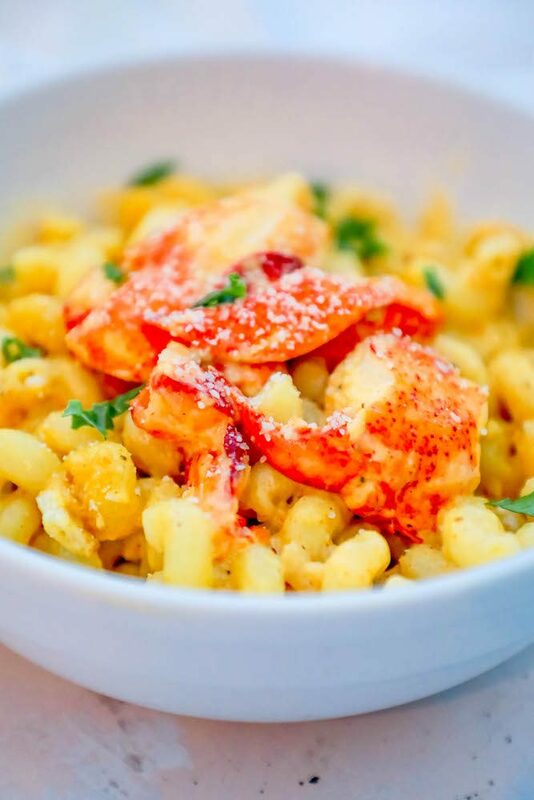 For baked lobster, set oven to 425 degrees and bake 1- 1 1/2 minutes per ounce of lobster meat. 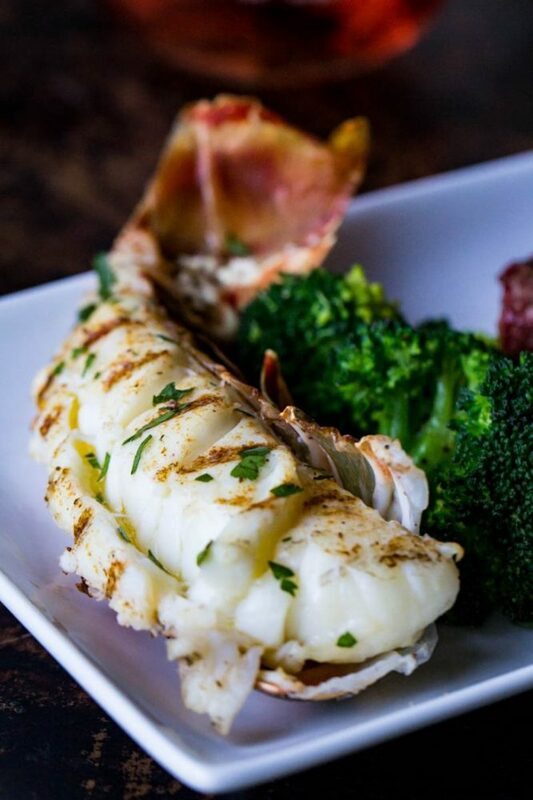 Find the best 10 Minute Broiled Lobster Tail Recipe here. 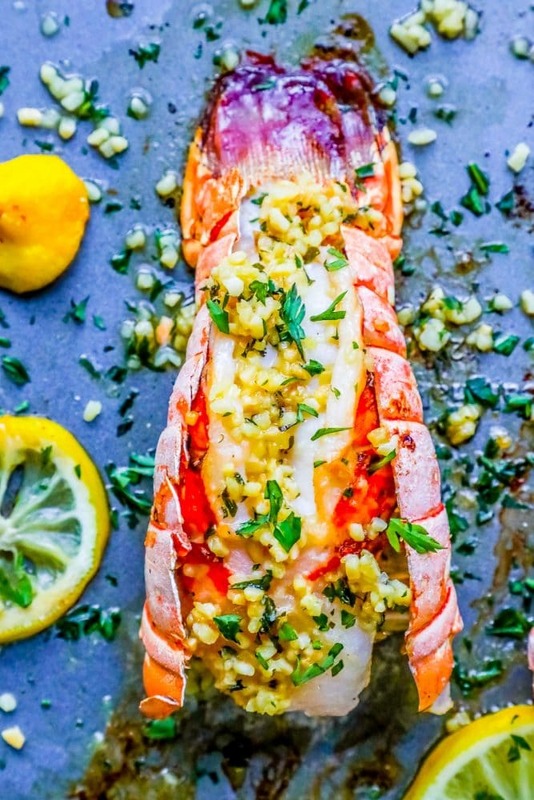 Find the best Garlic Butter Broiled Lobster Tails Recipe here. Get the Lobster Tails Poached in Lemon Cream Sauce Recipe here. 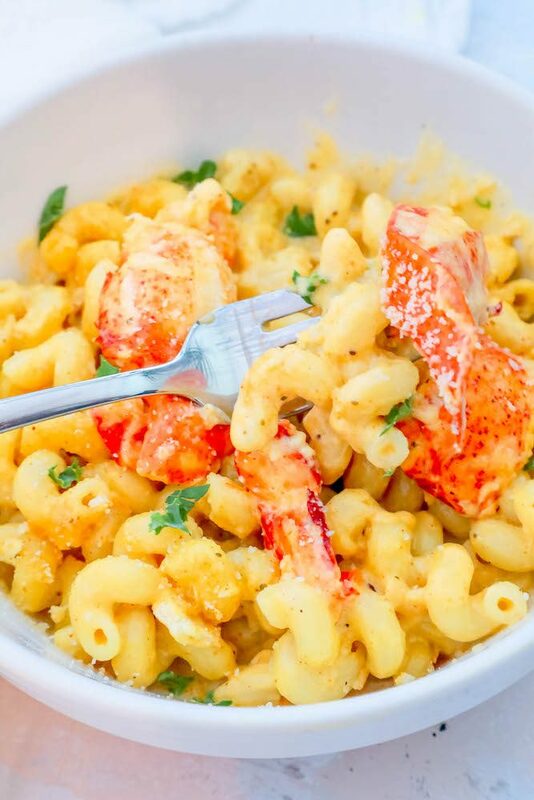 Get the Lobster Macaroni and Cheese Recipe here. Get the Traeger Grilled Lobster Tail recipe from Or Whatever You Do . 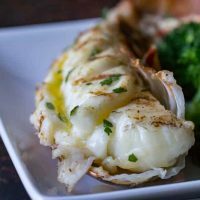 If you love these lobster tail recipes as much as I do, please help me share on facebook and pinterest! 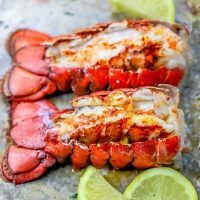 The highest reviewed lobster tail recipe online - simple, easy, and quick for a knockout delicious low carb lobster dish that everyone loves! 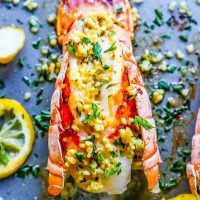 The best lemon garlic butter lobster tail recipe ever - simple, easy, and less than 10 minutes with a TON of lemon garlic lobster flavor! 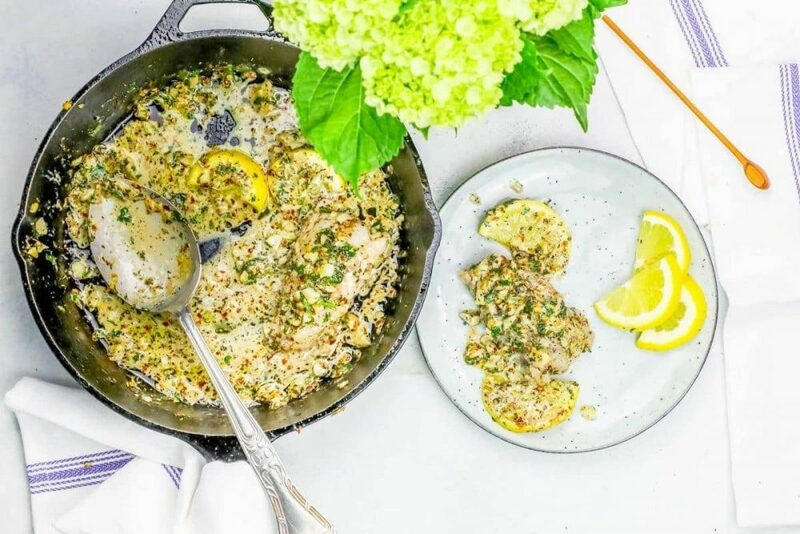 Creamy Lobster Tails poached in a decadent garlic lemon cream sauce - you can't get a more delicious creamy lobster tail dinner! 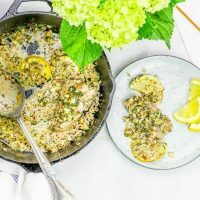 Great on its own or over fettuccine, rice, or orzo! 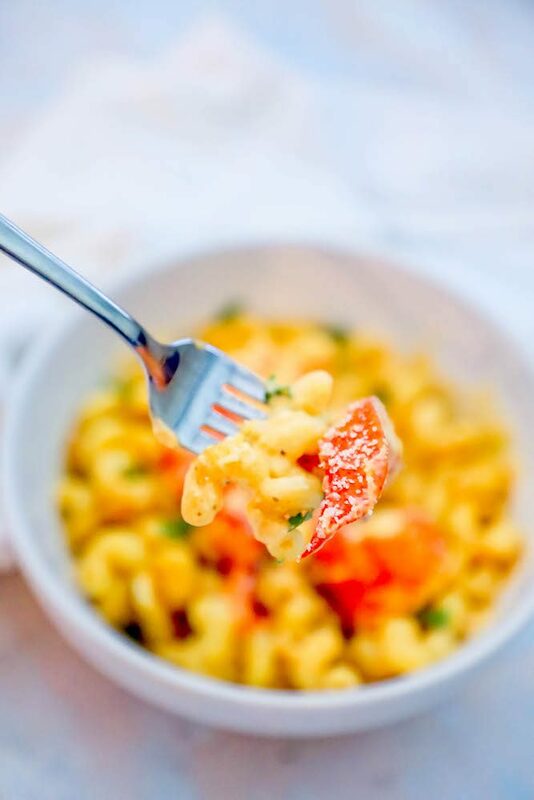 Creamy, delicious, and rich Lobster Mac and Cheese - the ultimate lobster tail comfort food! 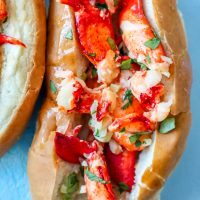 Garlic Butter Naked Lobster Rolls Recipe - delicious garlic butter lobster rolls sandwich with no mayonnaise for a rich, flavorful naked lobster roll everyone will love!